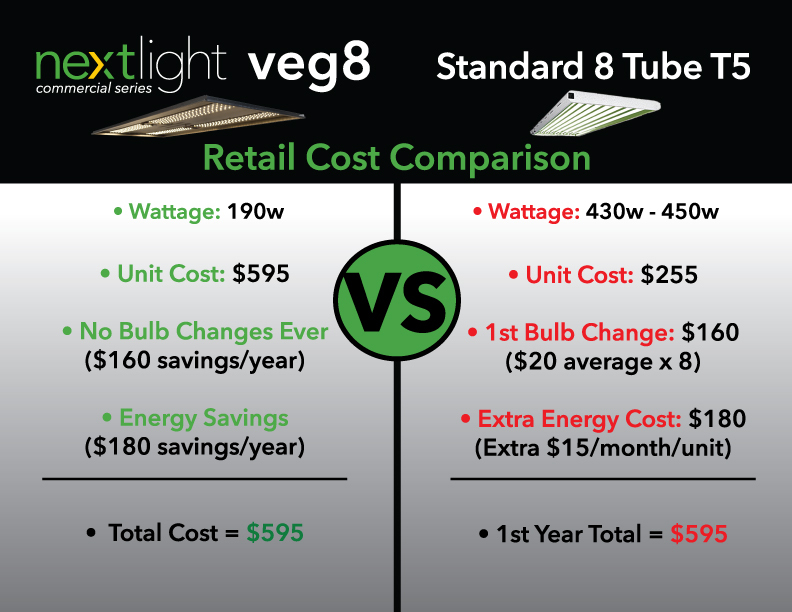 The NextLight Veg8 is a full spectrum, bright white LED grow light designed to efficiently replace a fluorescent 8 tube T5. 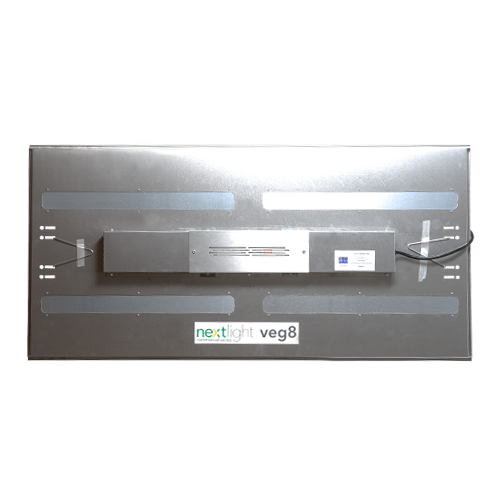 This unit uses half the power, produces minimal heat and is silent. 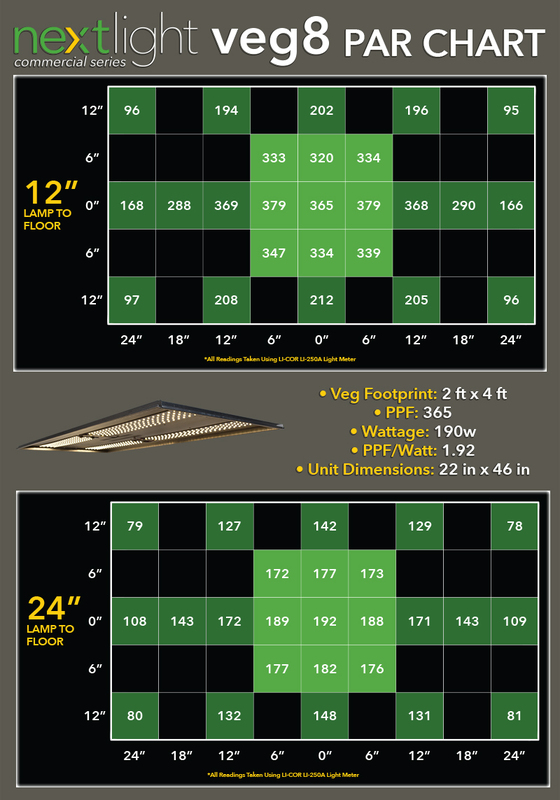 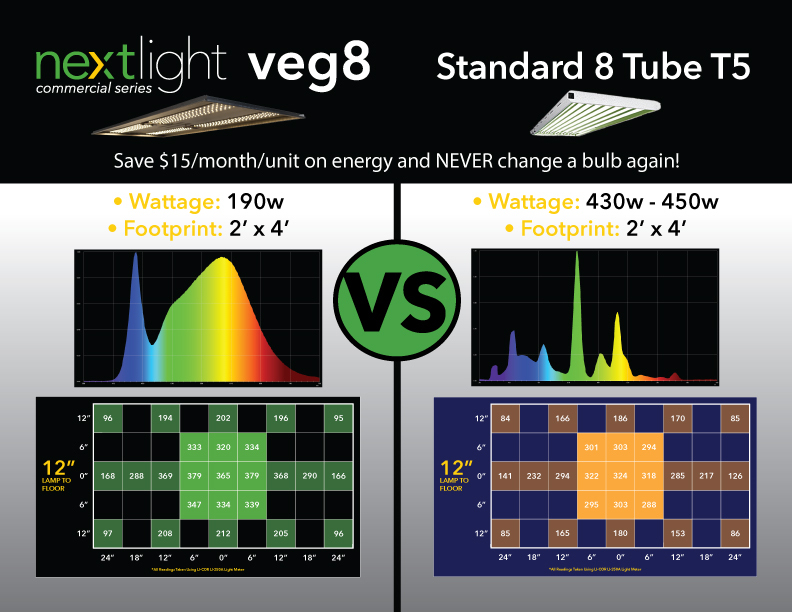 The Veg8 only draws 190 watts, covers a 2 ft x 4 ft veg footprint and eliminates the need to ever change a bulb again. 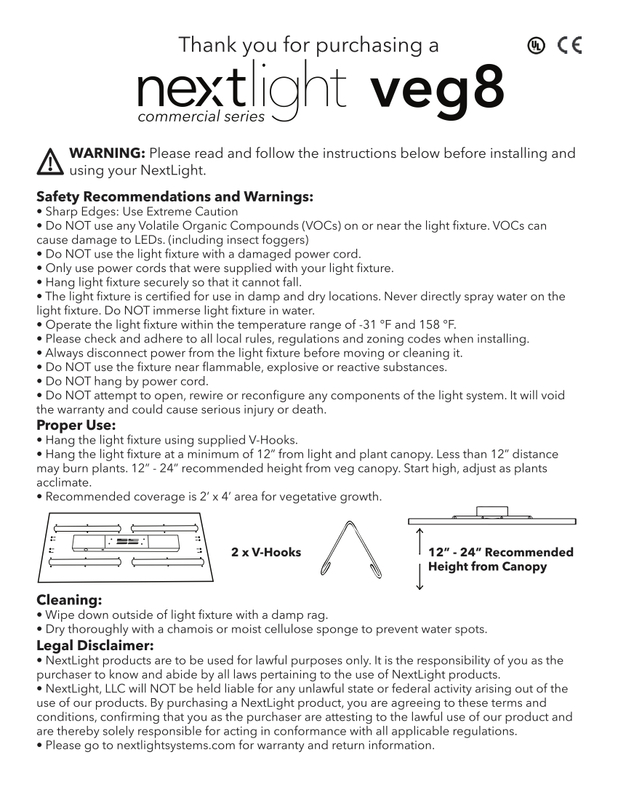 It is part of the NextLight Commercial Series. 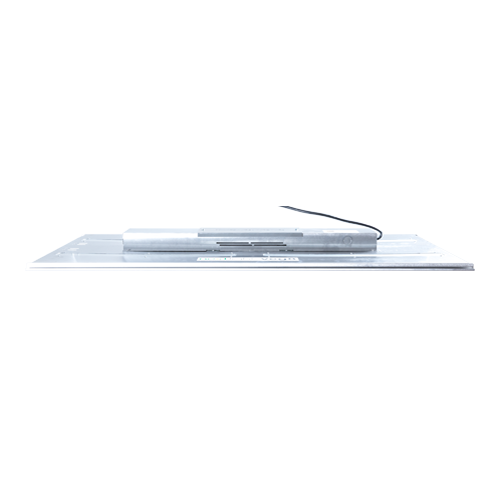 This distinction means each unit is covered by a 5 year full manufacturer’s warranty, has a 100,000 hour life rating and is UL listed.